I am not especially enthusiastic about voting for Corey Stewart, but I don’t want to see Tim Kaine reelected. Are either of them good men? Well the Bible says that only God is good. So I suppose not. Elections do not give us black and white choices. Since we always elect a mischief maker of some sort, we should wonder about the wisdom of people who want to give politicians any more power than absolutely necessary. That’s why I voted (in early voting) for Stewart instead of Kaine. When the Federal Government is already too powerful, Kaine is determined to further increase its powers. What’s the difference between Stewart and Kaine? Don’t both men seem to be ruled by their ambitions? Because he something of a rascal, Stewart is not especially popular with members of the Prince William County Republican Party. However, I suspect the vast majority will vote for him. Both men are know quantities to the folks in Prince William County, and Tim Kaine is that much worse. What is most aggravating about Stewart? He is trying to ride Donald Trump’s coattails into office, and he doesn’t actually represent Trump all that well. What is the difference between Stewart and Trump? Well, I think Trump is just being who he is. Look at the assault the Trump administration has endured. An empty suit would have crumpled long ago. Stewart, on the other hand, desperately wants to be like Trump. Unfortunately, Stewart seems to have Trump’s frankness and occasional intemperance confused with a taking no prisoners combativeness. Therefore, unlike Trump, whose love of America is more obvious, Stewart is more likely to be perceived as a bully. Given all that, why is Kaine a worse choice? Unlike Kaine, if he wins the election, Stewart will vote with Republicans and Trump’s agenda. 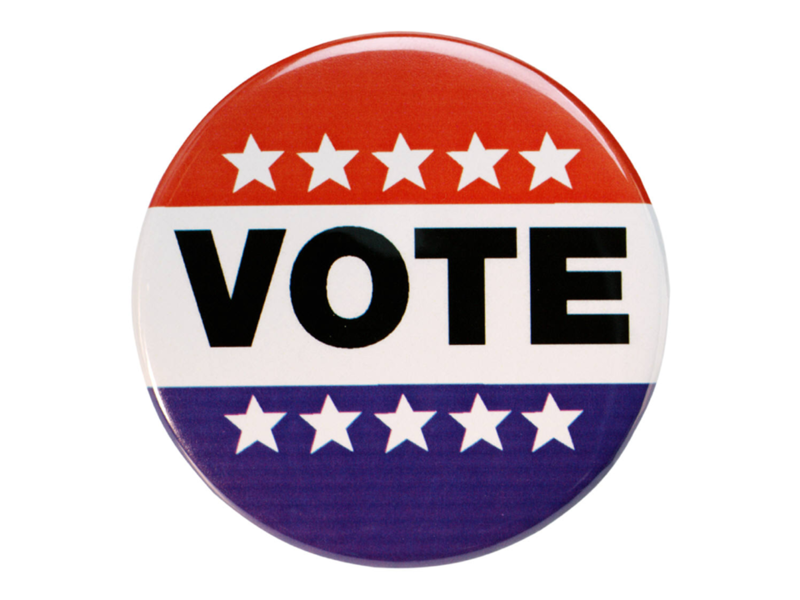 Check out VOTER GUIDES AND CONGRESSIONAL SCORECARDS. This page, compiled by the, Prince William-Manassas Family Alliance, lists a variety of voter guides. Checking out some of these guides is the quickest way to determine the differences between the way these two men will represent Virginia in the Senate. Still curious? Do you want to see how these guys perform? Here is the July 21, 2018 Virginia Senate Debate between Kaine and Stewart. C-SPAN has the town halls. Here is the first one from September 30th. Here is the second one from October 3rd. I’ll leave you to consider how close we are to a dictatorship. It stinks when you have to hold your nose when casting a ballot. In my county, we have two House candidates that are questionable. Both Republicans, one is indicted for embezzling $300,000 in campaign funds while the other was once charged with a ponzi scheme that bilked seniors out of their modest savings. It’s easy to see why some Christians don’t vote. A choice between the Devil or a demon is really no choice at all. Two Republicans? In the general election? Not voting is a choice. It is just a choice to leave the operation of government in the hands of others. If we don’t like the choice of candidates in the general election, then we need to consider whether we did enough to help nominate someone better to run for office. Yes, I should have clarified. They are running in different districts. The embezzler was charged after the Primary. His name could not be removed from the ballot nor could the party replace him. His trial is set to begin after the election. It’s a solid Republican district so he continues to lead in the polls. Blaming his wife for the misappropriation of funds, the couple retained separate lawyers and did not appear together in court. The other candidate was charged with her husband in an investment scam that targeted senior citizens. Funds from the ponzi scheme were allegedly laundered through her various political campaigns. She previously served on the city council, Board of Equalization and state Assembly. When asked about scamming seniors of modest means she said, “They weren’t of modest means”. So .., they had plenty of money to steal? Charges against her were dropped because there was no evidence that she was aware that her husband’s investment scheme was illegal. She is trailing (51-39) in her bid to win what has been a solid Republican district. Well, I don’t know anything about those candidates. All I can say is that voters don’t pay enough attention to the nomination process. Political parties exist to nominate and promote candidates for public office. In the county where I live close to 400 thousand people live. When the local Republican committee meets, we usually have 100-200 people show up. Not a great showing. Still, Republicans dominate the Board of County Supervisors. When so few people show up, that makes too easy for a crowd to show up at a meeting and just take over. So we had to to require new members show up at at least a couple of business meetings before they can vote. Having seen too much of how politics works I don’t feel anything except disgust when someone proposes putting government in charge of anything it does not need to control. I don’t see any reason to believe my fellow citizens won’t put crooks or worse in charge. I live in a state where the top two candidates in an open primary face-off in the General Election. Consequently, it’s not unusual to have two candidates from the same party vying for the same seat. Our ballot is four pages long and I don’t even vote for half the candidates. For example, we have two Democrats running for the United States Senate. You’ll have a clearer understanding of my dilemma when I tell you that one of those candidates is Diane (Franken)stein. The Devil or the demon? We don’t even have a choice. Yes, I live in the Socialist Republic of California, but I’m from the generation that remembers when the Golden State was Reagan country. We don’t even vote for the judges because they were all installed by Democrat governors. The Republican Party simply ignores that part of the ballot rather than rubber stamp a liberal court. It is perplexing that Republicans cannot nominate viable candidates. It sort of makes sense considering the Democrats control the state. After watching the Kavanaugh hearings I wonder why any decent person would even engage in politics. Why an absence of good candidates? Can’t say for absolutely certain, but I am getting on in years too, and I have studied politics (as an interested observer) since my teens. So I have time to form and discard various theories. Started studying the Bible about a decade and a half ago. Realized I had been stupid to ignore it. The Bible is a mirror. It shows us to ourselves. Once we realize we are full of ourselves and that everyone else is too, it is sort of humbling. Jesus died on a cross to save us — me, from my sins. Unlike previous generations, few of us receive a decent Christian education. In fact, we go to public schools, and too many of us learn how to be babysat for life. Instead of learning how to be servants, we learn how to be served. Looks like a good deal, but it leads to tyranny. When most people demand to be served, and few are willing to serve, that allows demagogues to buy the votes they need to become tyrants. They buy those votes from us. Californians may be tempted to blame immigration from Asia and south of their border, but they accepted handouts from politicians for their votes. So have the rest of us. That’s what allowed scheming politicians to bring so many naive foreigners into our country. Still, there is time for us to turn things around. We have to admit our culpability, and we have to explain to our children what we have done wrong. It is not going to be easy, but if we love our children we will do it.